When you grow up—or let’s just say pass the age of 12—it becomes more and more embarrassing to admit you don’t like vegetables, especially ones that everyone knows are good for you, such as hearty winter greens like spinach, chard, and kale. They’ve been hailed as the secret to a long life, better eyesight, big muscles…even younger-looking skin (okay, I made that last one up). But still, there’s a not-so-silent majority who won’t eat them. I’ve got the solution. It’s a bit of a cheat because it involves heavy cream, rich cheese, and buttery breadcrumbs. 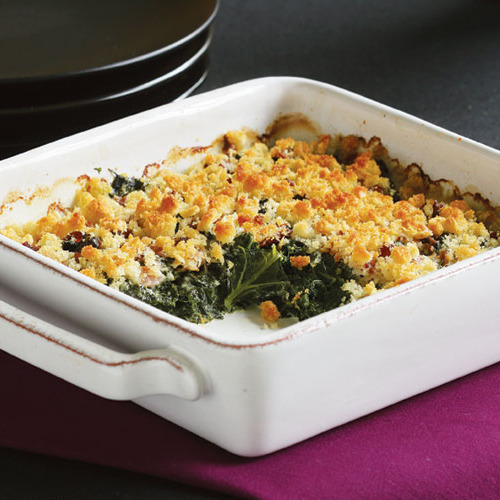 But trust me, there isn’t an adult or a kid who won’t like my winter greens gratin. This may be the most delicious, if indulgent, way to cram in those antioxidants. As a cook, what really excites me about this dish is its versatility. It’s more like a formula than a recipe, since you can pick from a number of different greens and substitute different cheeses to customize your gratin. 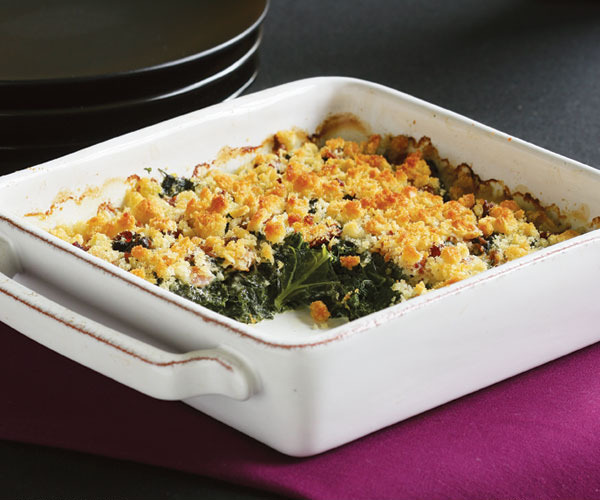 You only need to stick to the measurements in the main recipe Creamy Winter Greens Gratin, and you’ll have a golden, crusty, creamy side dish to serve with your favorite roast or chops. 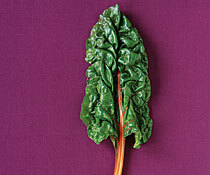 Customize your gratin by choosing one of these greens: spinach, broccoli raab, Swiss chard, kale. To get the 2 cups of cooked greens you need for the gratin, be sure to start out with the amount of raw greens specified below. Start with 1 lb. 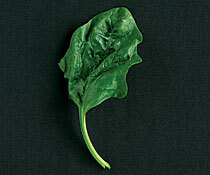 mature spinach, stems removed and leaves roughly chopped to yield about 7 cups tightly packed (or 12 oz.). Start with a 1-lb. 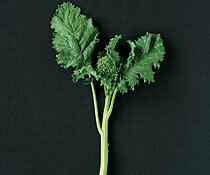 bunch broccoli raab, tough lower stems removed (almost half the bunch), as well as any discolored leaves, and the rest very roughly chopped to yield about 6 heaping cups. Cook for 30 seconds, just until wilted. Cook for 2 minutes. Start with 1-3/4 lb. chard, stems cut away and reserved for another use (slice, freeze, and add to your next vegetable soup) and leaves roughly chopped to yield about 91/2 cups (or 12 oz.). Start with 1-1/4 lb. 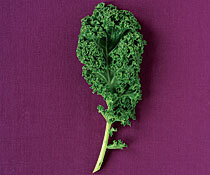 kale, tough stems trimmed away, leaves roughly chopped to yield 6 cups tightly packed. Cook for 1 minute. Cook for 8 minutes.